Bryan Morales learned of the birth of his daughter, Alyseia, clutching her black-and-white photo in his prison cell. “It was a wake-up call,” said Morales, 36, sitting at the Liberty Lake home where he was arrested nearly three years ago on charges of theft and forgery. Morales’ girlfriend, Sara Borgman, had checked herself into a drug clinic in Seattle a few days prior to Morales learning he was a father. When Morales was arrested, Borgman was pregnant, and Alyseia was born addicted to opiates. Morales would serve time in prison, but faced a potential second stint in custody on additional charges, meaning he’d be absent for more of Alyseia’s formative years. Instead, Morales entered a statewide program that suspends jail sentences in favor of family counseling. Morales and Borgman call the program a blessing. A crime victim in Spokane County, however, questions whether the sentencing-alternative program – part of the county’s progress toward “Smart Justice” – coddles offenders. Nine months of struggle followed Morales’ arrest, as both he and Borgman tried to get clean. They succeeded in regaining custody of Borgman’s two other daughters, Shaelen and Shylar, who were taken by Child Protective Services. The memory still brings tears to Borgman’s eyes. “It’s the best thing, it snapped me right out of it,” she said, wiping her eyes. Morales and Borgman were just beginning their path to sobriety. When Morales left prison, he still faced an additional 22 months on charges of dealing heroin and owning a firearm as a nine-time convicted felon. Instead, Morales was able to show court officials he wanted to leave the criminal life behind. The alternative is a favorite of justice system reformers who are preaching a more cost-effective and evidence-based approach to sentencing. They point to the lower costs of detention, growing success rates and improved family lives of children coming from homes where drugs were present as reasons the family offender sentencing alternative, a state program initiated in 2012, should be expanded. Joy Schmidt doesn’t agree with that argument. She said she never enters her Spokane home without her hands on a gun. “For almost two years, I’ve endured sleepless nights because I’m fearful that someone will try to break in again,” Schmidt told Spokane Judge Ellen Clark in October. Schmidt arrived home the afternoon of Dec. 6, 2013, to two burglars picking through her jewelry. They busted out her kitchen door to make their escape. One of those burglars was 25-year-old Amanda Macklin, a former Gonzaga University student who’d become addicted to prescription painkillers. Macklin would pawn some of the jewelry, valued at more than $10,000, a few days later to feed her habit. Macklin’s subsequent arrest sent her back to federal prison, where she’d just finished serving a yearlong sentence for stealing a federal law enforcement agent’s gun and pawning it. She delivered her first child in federal custody, and asked last year to be allowed into the family sentencing alternative program. Schmidt said the system has treated Macklin as a “model offender,” a moniker she said is an oxymoron and downplays the suffering experienced by victims of property crime. Macklin, who will spend a year under supervision by Department of Corrections counselors, declined to be interviewed for this story. When Schmidt was Macklin’s age, she said, she traveled around the world – places like China and Amsterdam – collecting jewelry she hoped to leave to her niece. The loss of those pieces and the violation of her privacy filled her with rage as she chased Macklin out of her home on that December afternoon two years ago. “When I ran out the front door, even though I was scared to death, I was angry,” Schmidt said. That anger has not subsided. She’s maintained a dogged pursuit of restitution in the case, after attorneys erroneously filed paperwork delaying Macklin’s payments to 2016, though Clark ordered monthly payments to begin directly after her sentencing. Between Schmidt and another victim, Macklin owes more than $28,000 in restitution. Schmidt has vowed to write Spokane County commissioners, Gov. Jay Inslee and others about her struggle. In spite of this, Schmidt is aware her argument comes in a climate of criminal justice reforms. She slammed a report given to Inslee in 2015 calling for investment in supervision and treatment programs for offenders, saying it lacked the input of property crime victims. “No one is representing the victims of crime,” Schmidt said. The report, titled “Justice Reinvestment in Washington: Analysis and Policy Framework,” includes an analysis of property crime victim-compensation programs in the state, deeming them “inadequate.” More than 258,000 property crimes were reported in Washington in 2013, according to the report, and 859 victims were offered assistance from victims advocacy programs. That’s assistance for one out of every 300 people who report theft of their property. Schmidt said those programs focus on counseling and support groups, services she doesn’t need. Those supporting reforms to the way the system deals with offenders and their victims say such rehabilitation programs are proven ways for taxpayers to get the most bang for their buck in the justice system. Spokane County Prosecuting Attorney Larry Haskell entered office on the promise that he would employ evidence-based reforms to the county’s criminal justice system. Haskell entrusts his deputy prosecutors to make recommendations for programs like the family offender sentencing alternative, which he said can be a valuable tool when the option works. “The whole goal of a sentencing alternative is to reduce recidivism, and point (the offender) in a direction of life that will be successful,” Haskell said. Susie Leavell, administrator of the family sentencing alternative program for the Washington Department of Corrections, touts its success in preventing new crimes by participants. Since the alternative was established by the Washington Legislature in 2010, the Corrections Department reports 274 parents have completed the program. Of that group, 22 people – 8 percent – have committed a new felony, well below the 30 percent recidivism rate for the general population, Leavell said. Haskell invoked Spokane County’s “Blueprint for Reform” when pushing for the increased use of sentencing alternatives. That document was crafted two years ago by a coalition of stakeholders addressing criminal justice reform. Among them was Mary Lou Johnson, a local attorney who previously worked in the federal court’s counterpart to the family offender sentencing program. “This is an offender-based system, not an offense-based system,” Johnson said. Johnson ran for county commissioner as a Democrat on a ticket that also included Breean Beggs, an attorney who unsuccessfully ran against Haskell and also touted incarceration alternatives. Beggs has since been named to the Spokane City Council. Reformers stress that these alternatives place accountability on an offender that isn’t in place when they’re behind bars. “We’re asking them, pretty much, to change their whole lives,” Johnson said. Getting out of jail … for free? Morales counts himself lucky. Two days after his release from prison on the drug charges, he’d lined up a job at Barlow’s Restaurant in Liberty Lake, near his home. He’s held that job for more than two years, working his way from a line cook to second-in-command in the kitchen. Still, he feels he could be doing more with his life. Holding a job is just one of the requirements for parents of young children who enter the sentencing alternative program. Morales had a leg up because he was working, along with Borgman, to get their children back after his arrest. 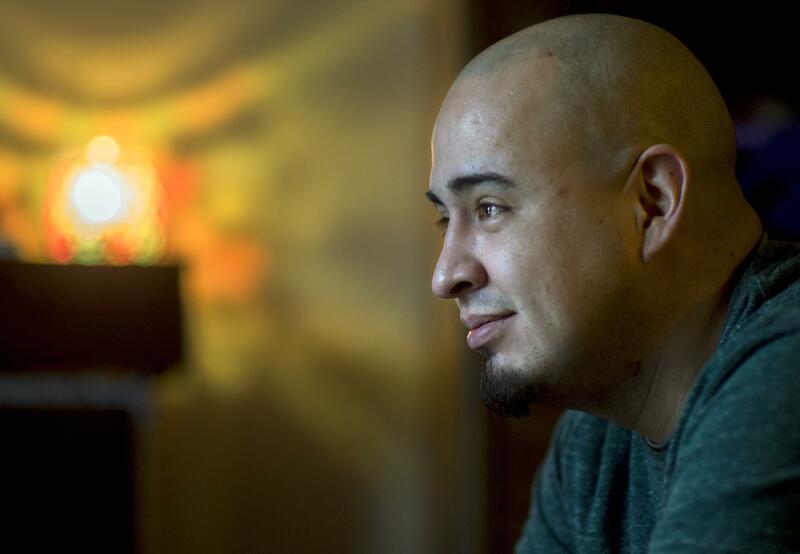 A Central Valley High School dropout, Morales earned his GED behind bars and remained sober after his release from prison. Leavell said the program is designed to help offenders, like Morales and Macklin, focus on their families, in addition to bettering themselves. That means 20 minutes of reading time with a child per day. Meals must occur without the distractions of TV and other electronic devices. Case workers with the Department of Corrections – there are eight of them statewide right now – may meet with an individual offender up to 20 times in the first month to ensure the program is being followed. Minor violations, like keeping the TV on during dinner, can result in a reprimand. More serious offenses, like a positive drug test, failure to pay restitution, loss of a job or a lack of contact with court officials, can result in removal from the program and immediate incarceration. The program has a graduation rate of about 68 percent, Leavell said. It’s available for both mothers and fathers, though more women have participated than men so far. But that’s exactly how Schmidt sees the deal given Macklin, the woman she says stole her security in her home. Residents of Spokane County can expect to be the victims of property crime at a much greater rate than the state average, according to statistics reported by local agencies and gathered by the FBI. For every 1,000 residents in Spokane County, 59 were the victims of a property crime reported to police in 2014. That’s above the state average of 39 per 1,000 people, according to data published by the Washington Association of Sheriffs and Police Chiefs. “The people of Spokane County should be furious,” Schmidt said, following Macklin’s sentencing. Haskell said his office is targeting repeat property crime offenders and has heard anecdotal evidence from police that the approach is working. “The word is out there on the street that it isn’t like it used to be,” Haskell said. Mary Lou Johnson, the justice reform advocate, said the key to reducing property crime in the county is continued emphasis on programs like the sentencing alternative, which she said will reduce the pool of victims in Spokane County. “We’re not going to get there doing what we’re doing right now,” she said. Schmidt remains unconvinced. She’s especially offended by statements made by Clark, the judge who approved Macklin’s sentencing alternative. In response to a note supporting Macklin from the federal judge overseeing her drug treatment, U.S. District Court Judge William F. Nielsen, Clark said she’d never received a letter from a federal judge before. Schmidt said Clark’s statements reflect the lack of focus on crime victims in the current movement to provide resources to those committing the crimes. In an interview, Clark said the pool of candidates for the family offender sentencing alternative in Spokane is small, with only a half-dozen offenders appearing before her at any one time. She is the only judge who oversees the cases in the county and keeps a file on every offender. Morales and Borgman had a lot of help from their families to remain in their four-bedroom home in Liberty Lake. Pictures of eldest daughter Shaelen at school volleyball games and dances hang on their walls and refrigerator. But their criminal past continues to alienate brothers, sisters and former friends. That wasn’t true of Morales’ parents, who he said still visit. But Morales and Borgman can’t attend holiday gatherings with their extended families. Morales said Borgman pushes him to be more assertive with his family about accepting him now that he’s sober. The sentencing alternative program focused on Morales preserving his relationship with Borgman and the three children. That meant spending more time at home, instead of money on toys and other items, Morales said. “They’ve got years and years and years of getting everything they wanted, because we’d buy their love, because we weren’t there in person. We were being selfish,” Morales said. The couple know they were on thin ice with the courts as well. While Borgman was in drug treatment, she sneaked in a cellphone to speak with Morales during his imprisonment. Staff found out, kicked her out of the program and newborn Alyseia was temporarily placed in foster care. “I was doing a program, made a mistake, and the repercussions were taking my child again, and my other two were already gone,” Borgman said. As a result, Morales and Borgman took the sentencing program seriously. On Jan. 6, Morales graduated, ending his supervision with the courts. The couple said they remain focused on their family, even as their obligations to judges and probation officers have ended. Morales said his family couldn’t believe he’d worked himself back to freedom and its privileges.